Spend an evening with one of the most versatile & multi-faceted actresses in Bollywood. 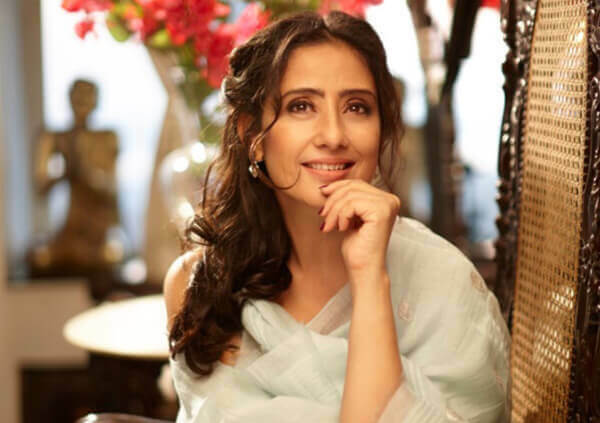 Manisha Koirala will be in conversation with Sanjoy K. Roy as she shares her story in her own words. Manisha Koirala made her acting debut in 1989 in Nepali Cinema before making her maiden Bollywood film "Saudagar" in 1991. From hits like “1942 a Love Story” in 1994 to the biopic "Sanju" last year Manisha has has portrayed a variety of interesting female characters. In addition to acting in films, Koirala is a stage performer and has contributed as an author to a book: Healed, the story of her battle against cancer. A battle she won and came out stronger. She has aligned herself to social causes that work towards women's rights, prevention of violence against women, prevention of human trafficking and cancer awareness.